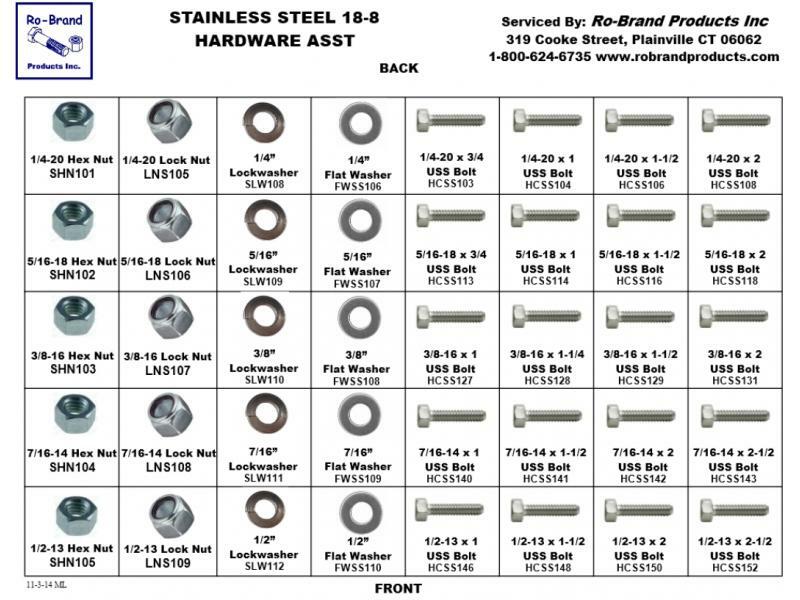 By popular demand we have assembled this 18-8 Stainless Steel Hardware Kit with all the popular sizes commonly used where a Stainless Steel fastener is called for. Thread sizes range from 1/4" to 1/2" and are of the USS-Coarse Thread class. Note: We Highly Recommend the Use Of An Anti-Sieze Lubricant On All Threads To Prevent Galling. A 40 Slot Metal Bin is available, ask your salesperson.